Before fermentation grapes underwent a 4 day maceration between 10 and 11°C in stainless steel tanks. Afterwards, a selection of yeast is added and temperature is kept between 25-26°C during fermentation, with gentle pump overs in order to extract desirable phenolic compounds. Ageing: 25% of the wine was aged in contact with French and American oak during 3 months, the remaining 75% was left unoaked to preserve the fruity character of the wine. Their Merlot has an expressive and interesting aroma, with hints of red and black berries such as cherries, plums and cassis; with touches of chocolate and cinnamon. On palate it displays a ripe and soft tannin structure. 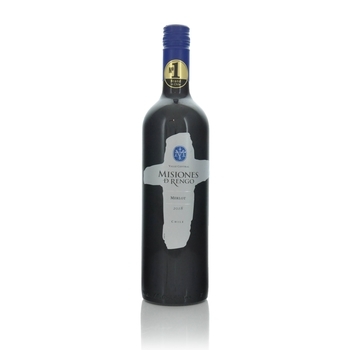 It is a full-bodied wine, with good balance and a lengthy and pleasant finish. Highlighted by notes of spices and red-berries. It pairs well with shellfish such as crabs and abalones, poultry, soft cheeses (Mozzarella and Brie), empanadas and pastas with creamy sauces.